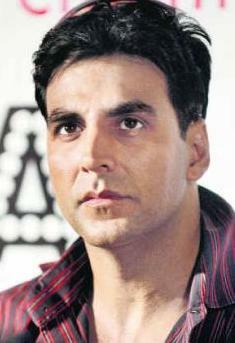 * Akshay Kumar was born on 9th Sep 1967 in Amritsar, India. * His birth name is Rajiv Hari Om Bhatia, he started using Akshay Kumar as his screen name due to astrological reasons. * Akshay Kumar’s father was serving the Indian army when he was born, his mother Aruna Bhatia was a house wife. * Akshay attended ‘Don Bosco School’ & ‘Guru Nanak Khalsa College’ in Mumbai. * After completion of his education Akshay developed interest in martial arts and after few years of training he earned black belt in Taekwondo, later he went to Thailand to learn Muay Thai and there he did several odd jobs like chef, waiter etc for livelihood. * After learning Muay Thai in Thailand Akshay returned to India with an intention of opening martial arts school and he actually did so, but during this period one of his students who was a photographer recommended him to do modeling. His student was even able to get him an assignment and for two hours of photo shoot Akshay got Rs. 5,000/- whereas his monthly salary was Rs. 4,000/-. Akshay Kumar still believes this incident to be the turning point of his life otherwise he would have stayed in the martial arts school forever. * He made his acting debut with Saugandh in 1991 opposite Shantipriya. In 1990 decade he appeared in several blockbusters including Khiladi in 1992 opposite Ayesha Jhulka, Main Khiladi Tu Anari in 1994 alongside Saif Ali Khan and Shilpa Shetty, Mohra in 1994 alongside Sunil Shetty and Raveena Tandon, Yeh Dillagi in 1994 alongside Saif Ali Khan and Kajol, Suhaag in 1994 alongside Ajay Devgan, Karisma Kapoor and Nagma, Sabse Bada Khiladi in 1995 opposite Mamta Kulkarni, Khiladiyon Ka Khiladi in 1996 opposite Raveena Tandon, Dil To Pagal Hai in 1997 alongside Shahrukh Khan, Jaanwar in 1999 alongside Karisma Kapoor and Shilpa Shetty etc. * In 2010 decade he appeared in several hits including Housefull in 2010 with Deepika Padukone and Arjun Rampal, Tees Maar Khan opposite Katrina Kaif, Rowdy Rathore in 2012 opposite Sonakshi Sinha etc. * Akshay Kumar is known for his mind blowing stunts without dupes, his most noted movie stunt in Khiladi 420 wherein “he climbed a running plane, stood on top of the plane flying a thousand feet in the air, and jumped from the plane onto a hot air balloon”. Due to his martial arts expertise he prefers to do his action scenes instead of using dupes. * Akshay dated several co-stars including Pooja Batra, Raveena Tandon and Shilpa Shetty. He later actress Twinkle Khanna on 17th Jan 2001. Twinkle Khanna is the daughter of Bollywood celebrity couple Rajesh Khanna & Dimple Kapadia. The couple have two children Aarav born in 2002 and Nitara born in 2012. * He was honored with several national and international awards for his contribution to film industry, including Rajiv Gandhi Award, Padma Shri, Japanese honour of “Katana” and “University of Windsor”, Canada honored him with Honorary Doctorate in 2008. * Akshay Kumar established his own production house “Hari Om Entertainment” in 2009 and so far it produced several films like Singh Is Kinng, Khatta Meetha, Action Replayy, Tees Maar Khan, Patiala House, Thank You, Breakaway, Joker, OMG: Oh My God! and Khiladi 786.
boollywood ka eklauta all rounder superstar .height is very good, handsome, good dancer ,action hero. akshay sir aap ko salute karta hu aap ke in bahut sare talent ke liye. Hello Akshay sir main apka bahut bada fan hoon. Main apka har movie first day first show dekhta hoon. Aap ho bollywood ka asli Baap & Bosssss..
top 5 movie in this year Outimd & boss.. all the best for upcomening movie..